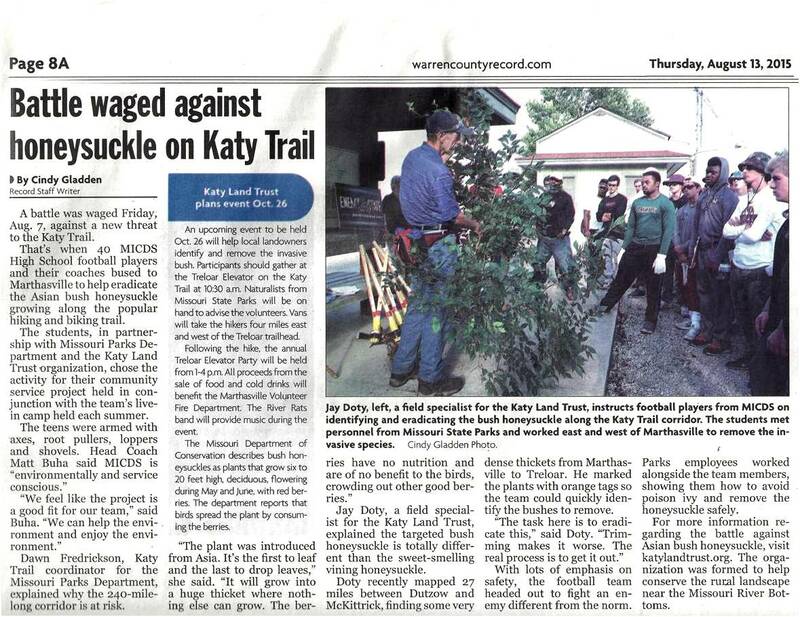 This August, MICDS football players got out on the Katy Trail to help remove bush honeysuckle. 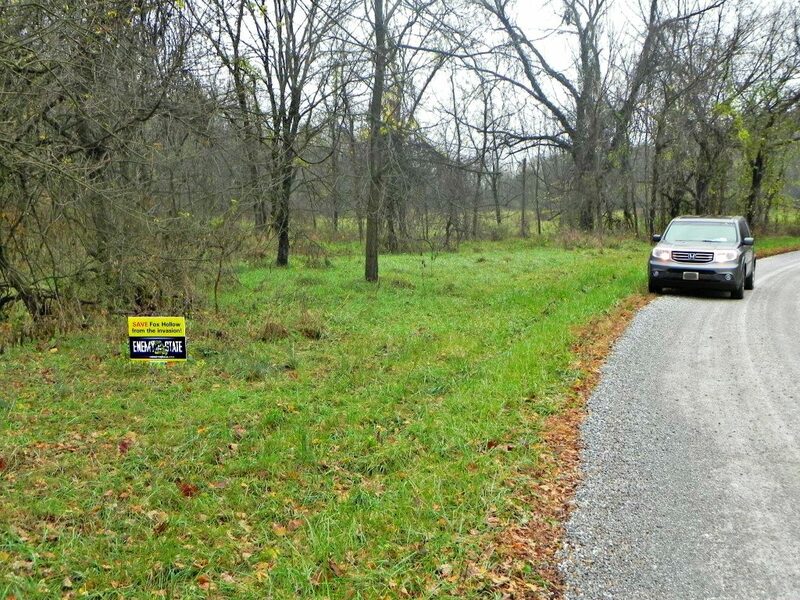 In partnership with the Katy Land Trust and the Missouri Parks Department, the Mary I County Day School football team removed the invasive bush honeysuckle from the sides of the Katy Trail near Marthasville as a community service project. Check out this great article written by Cindy Gladden for the Warren County Record to learn more! 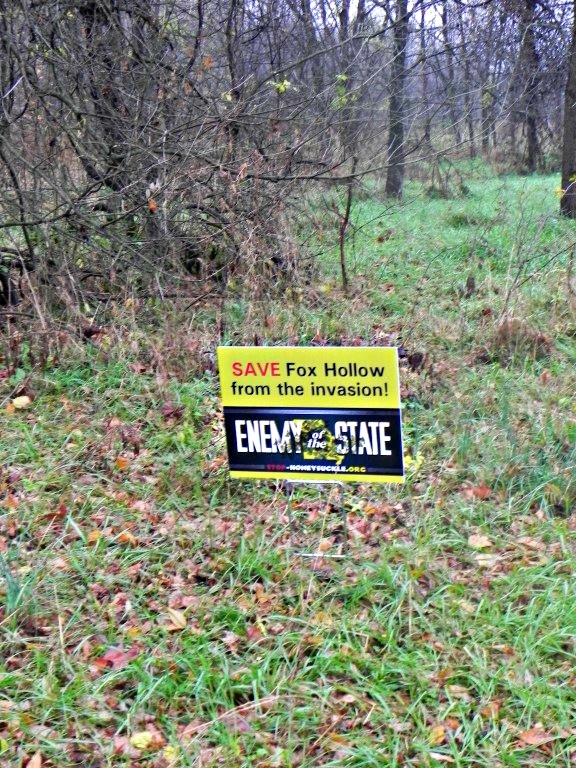 Bill Ruppert lives in southern Boone County where he has placed “SAVE Fox Hollow from the invasion!” signs along his property on Fox Hollow Road to advocate our STOP HONEYSUCKLE campaign.